2700CE is designed to provide 2nd to none reliability in the retail market locations with highest uptime and with minimum maintenance needs. You won’t have to worry about replacing the parts or sudden breakdowns because the 2700CE is designed to run for a very long time, problem-free. With quality comes also responsibility. 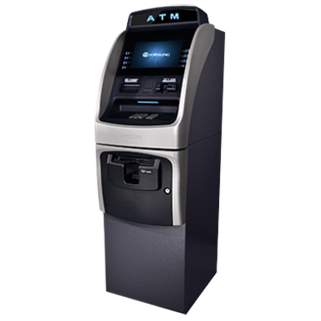 2700CE is equipped with energy saving features like low energy LCD and long lasting ATM parts with minimum implications to the environment. 2700CE is designed with open architecture platform allowing for easy future upgrades and module modifications. Modular design is one of ways in which we are trying to save our customers’ cost and provide maximum convenience. 2700CE offers ultimate functionality featuring bill payment, funds transfer, mobile top-up in a highly user friendly interface for maximum convenience and very easy transition. Complying to standards in various regions worldwide, Nautilus Hyosung offers advanced security measures while highly secured integrity of the 2700CE prevents any attempted security breaches from occurring. 2700CE can also be easily integrated with monitoring solutions to provide seamless data transfer for effective management of the self-service channels.